IADC president Dr Lee Hunt presents the IADC Service Award to Dominique Dupuis of Pride International at World Drilling 2008 in Berlin. 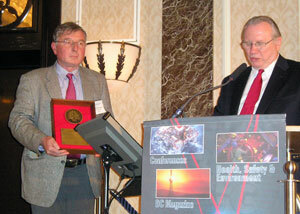 Two long-time industry contributors were recognized at the World Drilling 2008 Conference & Exhibition on 11 June 2008. IADC president Dr Lee Hunt presented the awards to Dominique Dupuis of Pride International and Pierre Gie of TOTAL during the opening session on Wednesday. Mr Dupuis, head of drilling engineering at Pride and vice president at Horwell, holds a mechanics degree from ENSM and degrees for drilling technical courses at the French Petroleum Institute. He served as a watch officer in the French Navy in 1975, and worked with Forasol from 1977-1996. He has long been a member of the IADC/SPE Drilling Conference program committee, as well as a member of the IADC European Working Group. 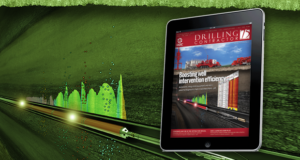 The drilling industry is entering a world of new challenges and new technologies, said Dr Kurt Reinicke of the Clausthal University of Technology Institute of Petroleum Engineering in his keynote address at the World Drilling 2008 Conference. Global energy consumption has increased by 25% over the last 10 years, driven mainly by a growing population, economic growth and rising prosperity around the world. Demand will continue to rise, and oil and natural gas will remain critical energy sources for the near future. Although there remains an abundance of resources to exploit, the time of easy oil is over, he said. 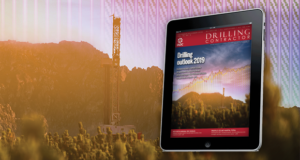 Extracting the remaining hydrocarbons – reserves in deepwater, ultra-deep below the earth, the Arctic, EOR, heavy oil and bitumen, oil shales, etc – will become increasingly challenging and complex, requiring modern technologies at higher prices. 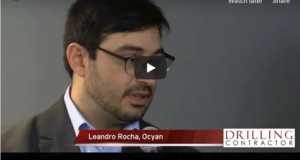 Analysts, including the International Energy Agency (IEA), have already predicted a gap between supply and demand by 2030, he said. 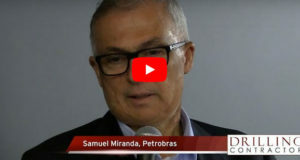 A comparative study on expandable systems is being carried out by the Federal University of Rio de Janeiro in conjunction with Petrobras, with the goal of assessing the structural strength of expanded tubulars through numerical and experimental analyses, said Theodoro Antoun Netto of the university. The new IADC Advanced Rig Technology Committee, meeting on 5 May in Houston during OTC, elected Steve Richards, Key Energy, as chairman, and named Jeff Swain, Chevron, as vice chairman-operators, and David Reid, National Oilwell Varco, vice chairman-service. In addition, the committee established five subcommittees. Meeting dates for each subcommittee are set for July, all at IADC’s Houston headquarters. • Reliability, organized to collect statistics on top-drive reliability. The Reliability Subcommittee will work in conjunction with the IADC Maintenance Committee. Tentative plans are to collect TDS reliability data over the Internet and report. The Maintenance Committee has identified numerous TDS parts to question on many makes and models. The initial meeting of the Reliability Subcommittee is scheduled for 2-4 pm 7 July. 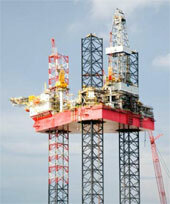 Transocean’s jackup GSF Rig 127 has drilled the world’s longest extended-reach well offshore Qatar, at 40,320 ft MD. 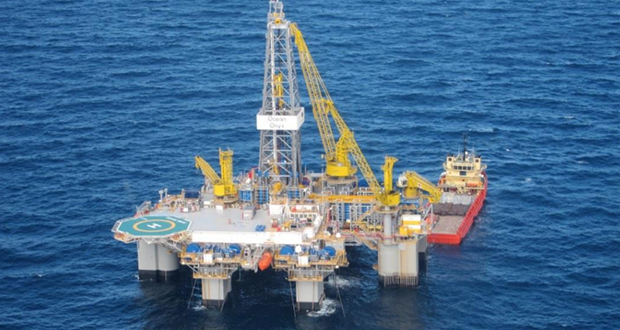 Transocean’s jackup GSF Rig 127 recently set a world record for the longest extended-reach well ever drilled at 40,320 ft (12,289 m) MD with a 35,770-ft (10,902-m) horizontal section. 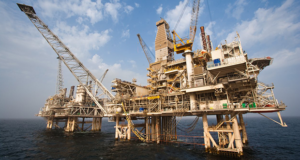 The well was drilled offshore Qatar in 36 days and incident-free. The new record of 7.6 miles is also the first well in the history of offshore drilling that exceeds 40,000 ft (12,191 m). The well surpasses by approximately 2,000 ft the prior extended-reach record of 38,322 ft (11,680 m) MD set with a land rig drilling at Sakhalin Island earlier this year. 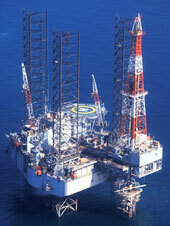 The West Triton was the first unit Seadrill ordered from the PPL Shipyard. The company recently ordered two more from PPL, plus another two from the KFELS Shipyard. All are scheduled for delivery in 2010. Seadrill recently entered agreements with the KFELS and PPL Shipyard in Singapore for the construction of a total of four jackup newbuilds with delivery in 2010. The two units to be built at KFELS will be based on the KFELS Mod V ‘B’ design. The rated water depth is 400 ft, and drilling depth is 30,000 ft. Deliveries are scheduled for June 2010 and November 2010, and the total contract price for the two units is approximately US$420 million. 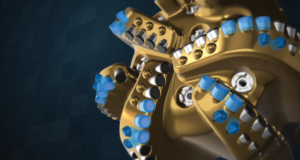 These will be the fifth and sixth jackup orders that Seadrill has placed with KFELS. 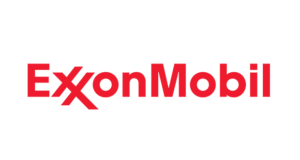 Pride International, Inc. announced on 1 May that it won a 5-year contract from a subsidiary of BP for Pride's advanced-capability, ultra-deepwater drillship. Pride expects the new contract to generate approximately $984 million over its term. The unit is scheduled for delivery in mid-2010. The unit is being constructed at the Samsung Heavy Industries, Co. Ltd. (SHI) shipyard in Geoje, South Korea on a fixed-price basis and is expected to be initially utilized in the U.S. Gulf of Mexico, with further operations possible on BP's other global deepwater interests. The drillship is one of 3 Pride ultra-deepwater units under construction at the SHI shipyard. All 3 units have now been awarded contracts with durations of at least 5 years. 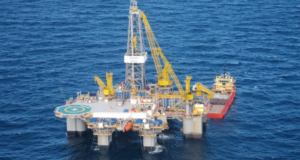 The 5-year contract is expected to begin during the fourth quarter of 2010, following the completion of shipyard construction, mobilization of the rig to an initial operating location and customer acceptance testing. 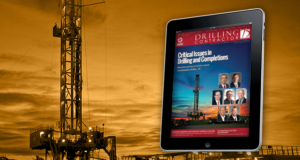 Anticipated revenues exclude reimbursement of costs associated for mobilizing the rig. The contract also provides for a cost escalation provision effective from 30 April 30, 2008 through the five-year contract term. Pride Angola featured in photo. The IADC Well Servicing Committee held its first meeting at IADC headquarters in Houston on 10 April, to develop a mission that would better serve the well-servicing segment of the industry. 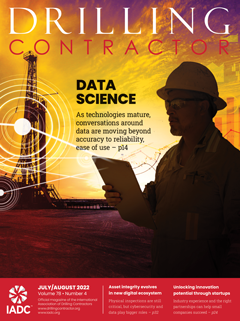 Some 106 of IADC’s 380 contractor member companies report owning or operating well servicing rigs. In total, IADC members operate 2,385 well-servicing units of all types. The committee determined that IADC expertise in areas such as well control, training and worldwide scope, would benefit the well-servicing industry when applied to the special needs of production rigs. 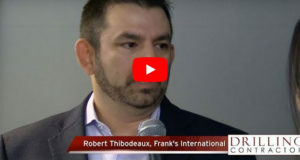 The committee determined that it would work collaboratively with other organizations, including the Association of Energy Servicing Companies. 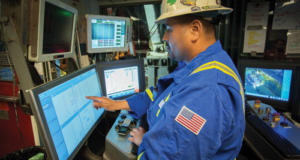 Automation and other advanced rig technology are marching forward, and the IADC Advanced Rig Technology Committee formed to develop guidelines across a broad range of areas. The committee will meet next at OTC in Room 406 of Reliant Center, from 1:30-3:30 pm. Registration for OTC is not necessary to attend the meeting. 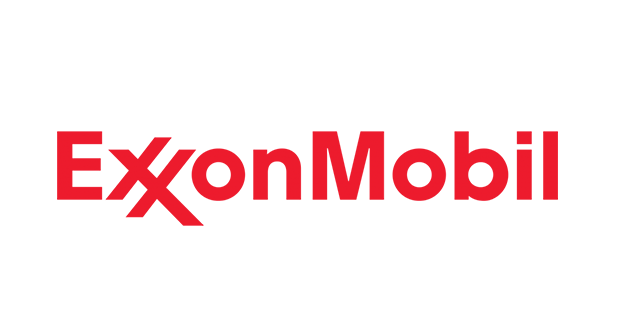 For the second consecutive year, Noble Corp has been named the recipient of the MMS 2007 National Safety Award for Excellence (SAFE) for drilling contractors. This is the third time Noble has won the SAFE award since the program’s inception. MMS established the SAFE Award to recognize companies that excel in their efforts to conduct operations in a safe and pollution-free manner by adhering to all regulations, employing trained and motivated personnel, and going the extra mile to enhance safety and environmental protection. 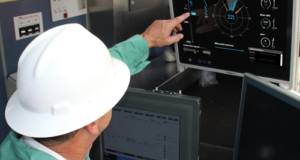 “Noble’s US Gulf of Mexico team has once again achieved truly outstanding results in offshore safety and environmental performance,” said David W Williams, Noble chairman.